My heart was torn in two as I watched yesterday and today the devastation of the T-5 tornado touched ground in Moore Oklahoma, and proceeded to flatten hundreds of houses and loss of life as of this post at 25 with hundreds injured. It seems now days that we are becoming more and more numb to major disasters like floods, earthquakes, and tornado’s . Unless we have a personal connection, we watch, show some concern and then return back to our ‘regular’ lives. 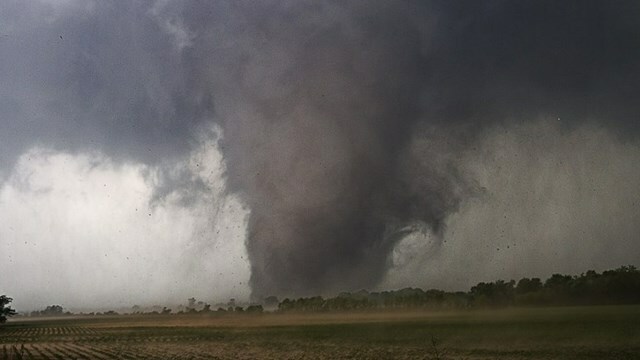 Yesterday was one of those landmark days where a massive tornado that stayed on the ground over an hour, with wind speeds over 200 miles per hour touched down on a small city named Moore Oklahoma. Even though the local people were given a 45 minute warning to evacuate, at least 25 died and hundreds were injured. I logged on to my laptop and streamed live from KFOR NBC affiliate in Oklahoma and was glued to the onsight reporting about the tornado. Some observations, the News Teams were not afraid if repeating the Name God and extending their prayers for all those who lost their homes. At one point, one of their top anchor persons, overwhelmed by the generosity of the people to help, actually quoted directly from the Book of James, “Faith without works is dead” I was astonished, because whenever there has been a disaster in California, the reporters were carefully scripted not to get personal in faith, lest there be some people who would be offended. How refreshing! What an incredible thing, that the most important possessions were the most personal. 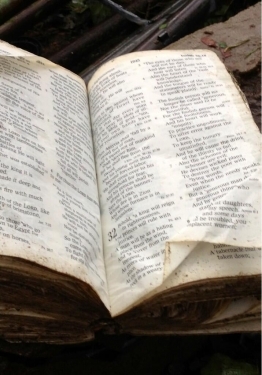 A Bible, a direct Word from God, and a willing television station that was not ashamed to report it. Patty actually has relatives who live in Moore, Oklahoma, and late last night we got report that they were safe, but their house was leveled. On the one hand, thank You God for sparing their lives, and on the other hand, God help us to rebuild. The hearts of these people in Oklahoma really touched my heart, made me want to load up my truck and go and lend a hand. But, I can’t do it right now. There is one thing I can do, that you can do, let’s pray for Oklahoma. Thanking Him according to His Word in Isaiah 32:2 that: He became the hiding place from the 200 mph winds of this tornado, and that He spared many lives from the tempest. And finally, that He was and became a great rock in a weary land. Pray that they not lose hope in God, pray for the teams of all kinds, pray for the continuing search for missing people, pray against opportunist that the devil will cause to show up, that these people not be taken advantage of. 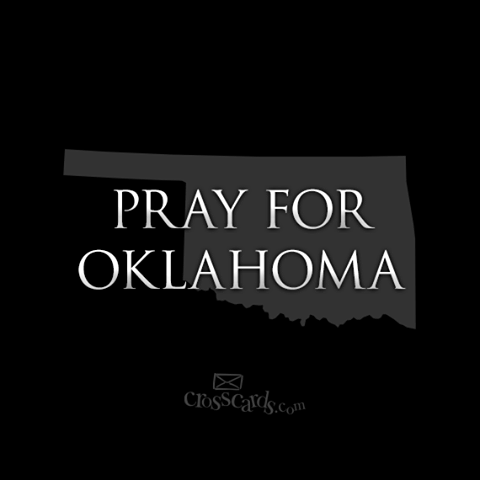 You can join in prayer on your facebook at Prayers for Oklahoma, a site that had 25,000 likes and is providing a much needed access for prayers. Also, The Billy Graham teams are on there way to provide help. Lot’s to pray and get involved in.